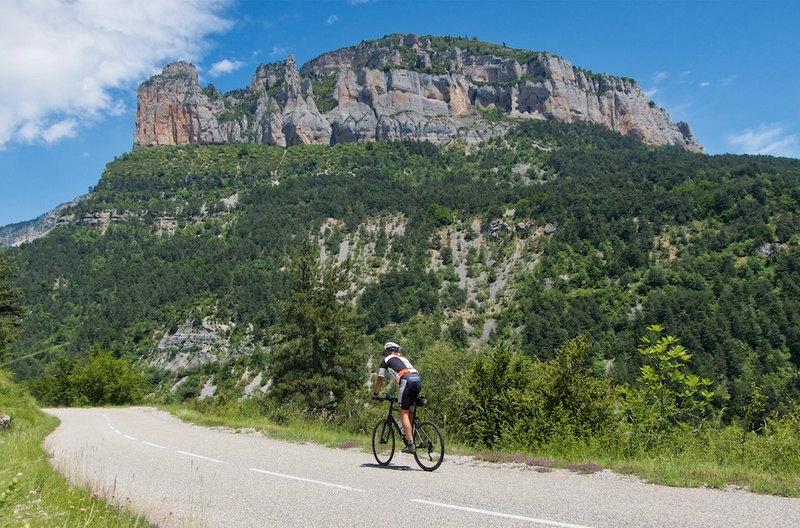 The Vercors massif, south-west of Grenoble, is one of my favourite regions in the Alps to cycle. Not the highest mountains, but lots of quiet roads, cliff stretches, gorges, etc. 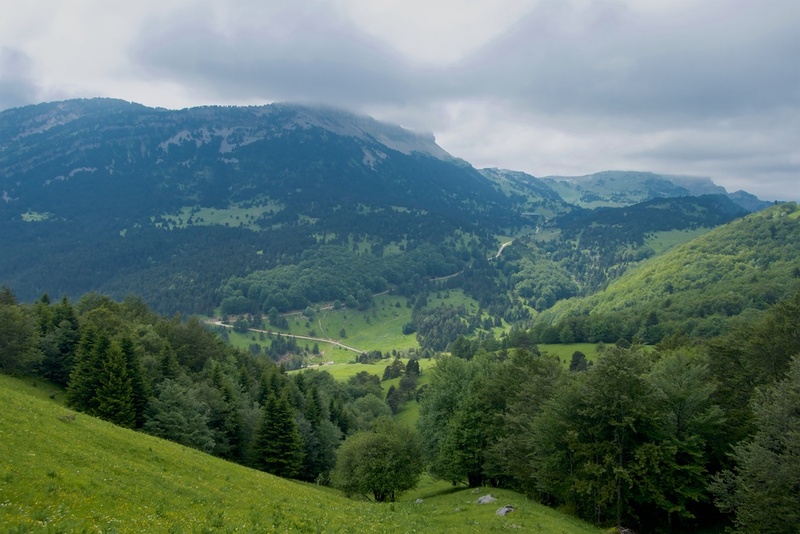 Col de Menée is on the south-east edge of the Vercors. 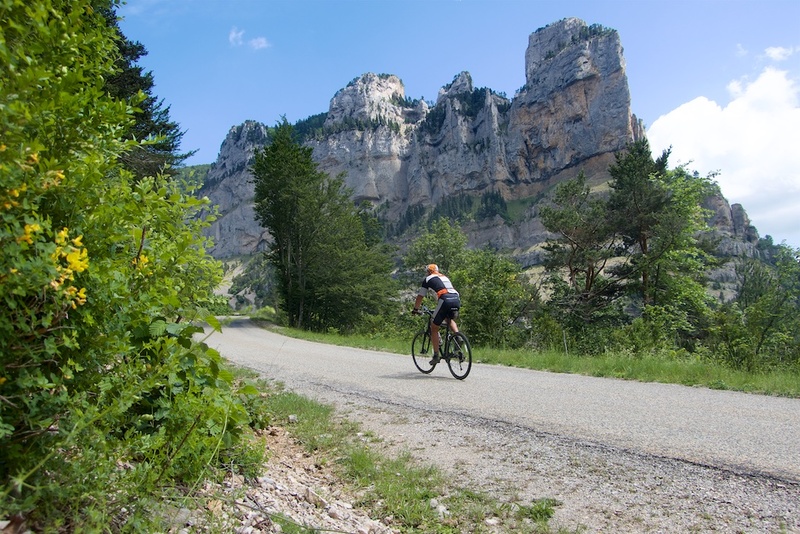 For more Vercors rides see here. The north side is not the toughest climb, but very quiet with ever improving views as it gets higher. For the col hunters in the crowd, at 1197 metres, the route crosses Col du Prayet (see map at bottom). 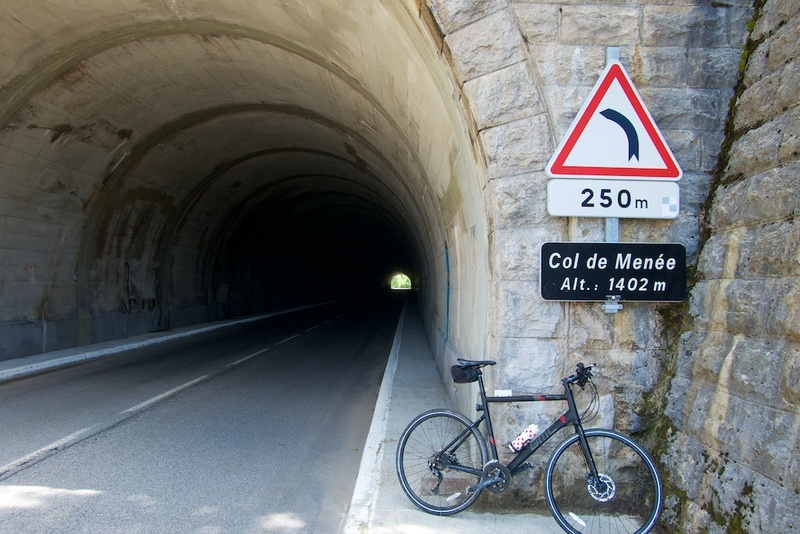 At the exact summit of Col de Menée, the paved road passes under the Col through a tunnel at 1402 metres. Me, I hate tunnels, so I climbed an old hiking trail to reach the geographic col at 1457 metres, and descended the far side to the tunnel exit. Looking south from geographic col. Descending that trail. The south side feels more remote and beautiful than the north side. 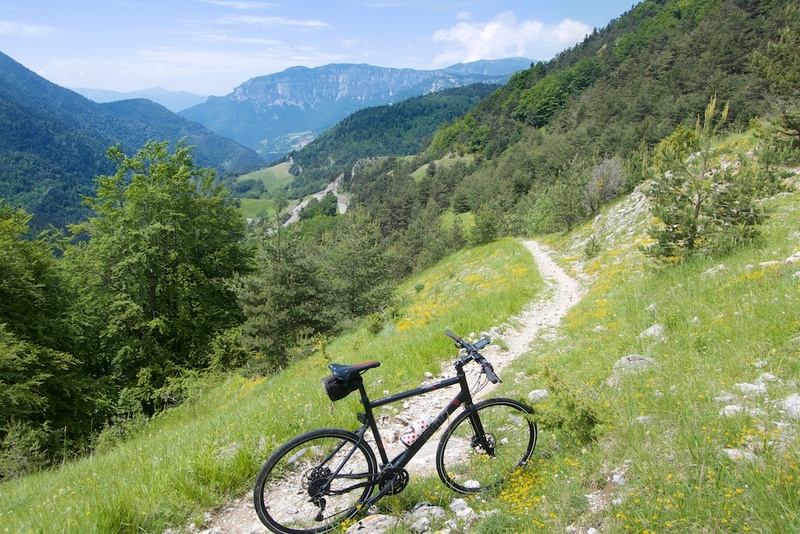 There are all sorts of unpaved options in the area leading to various cols and undeveloped side valleys. Me? I descended the south side until the village of Menée. From there, I took a 5-kilometre detour on a tiny road to reach the Cirque d’Archiane, a massive mountain amphitheatre. Beautiful. 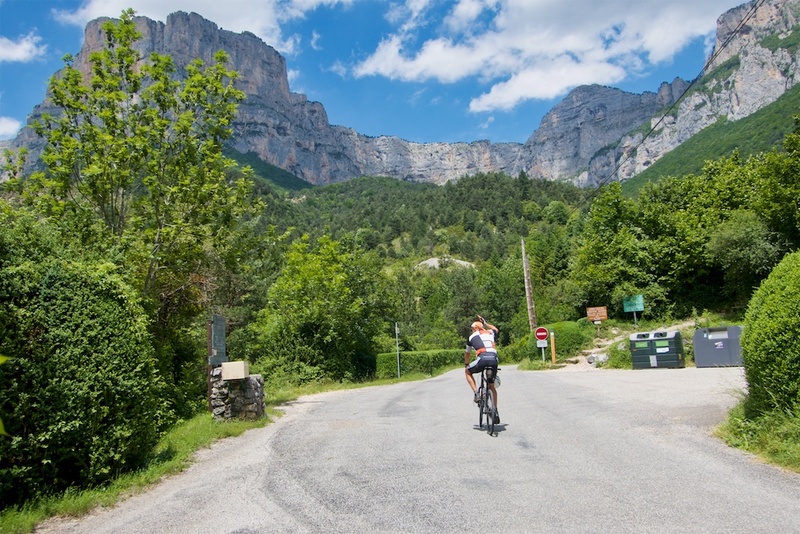 Instead of just returning up the south side of Col de Menée, I next took a detour on a high ridge road leading to the Vallon de Combau, in the shadow of the impressive Rocher de Combau mountain peak. I would follow this great road until the paved road ended. A gravel road continues higher to a cabin, but I wanted to find a short-cut back to the start and I was on the wrong side of the mountain. A shortcut would avoid having to double back. 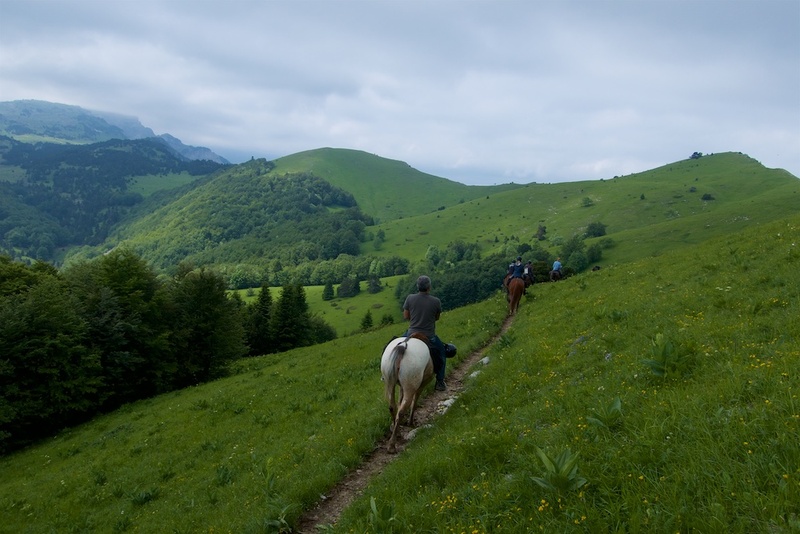 So I left the road and took a trail up towards Col de la Lauzette (1625 metres). Basically, kilometres 55 to 59 on the map below are completely on hiking trails. Short stretches were rideable but, especially the first kilometre required a lot of bike carrying. 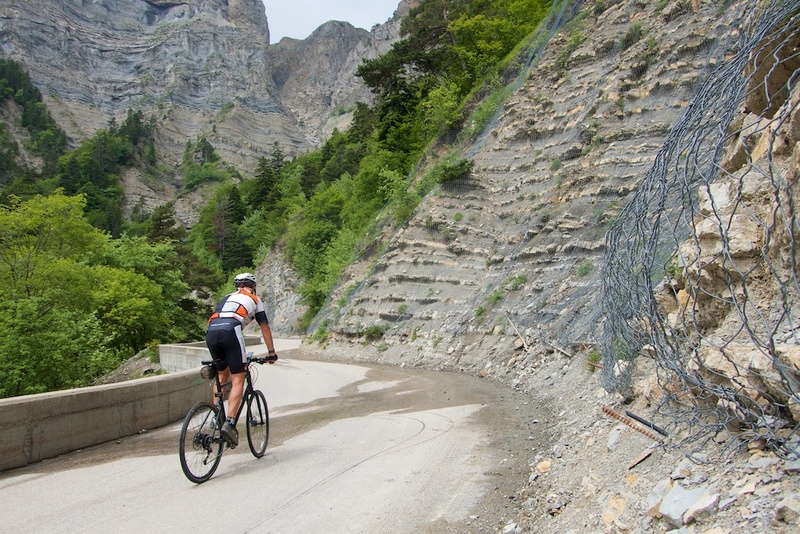 Basically, I went up and over Col de la Lauzette eventually reaching Col de Menée – on top of the tunnel. Woohoo – great shortcut! 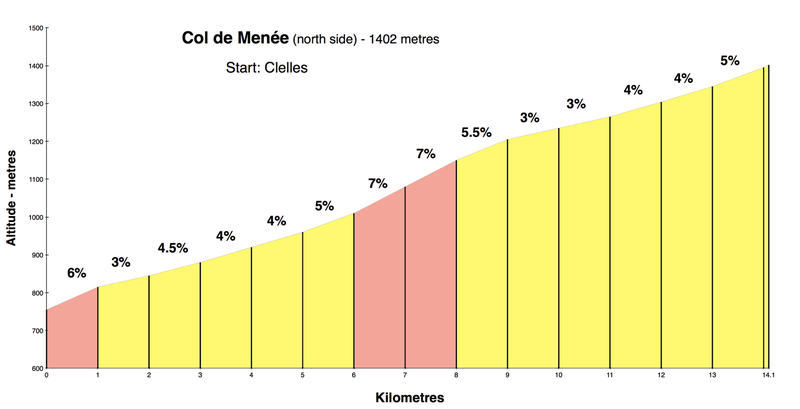 Finally, I just descended the north side of Col de Menée back to the start. I hiked up from the road below. The Vercors never disappoints. 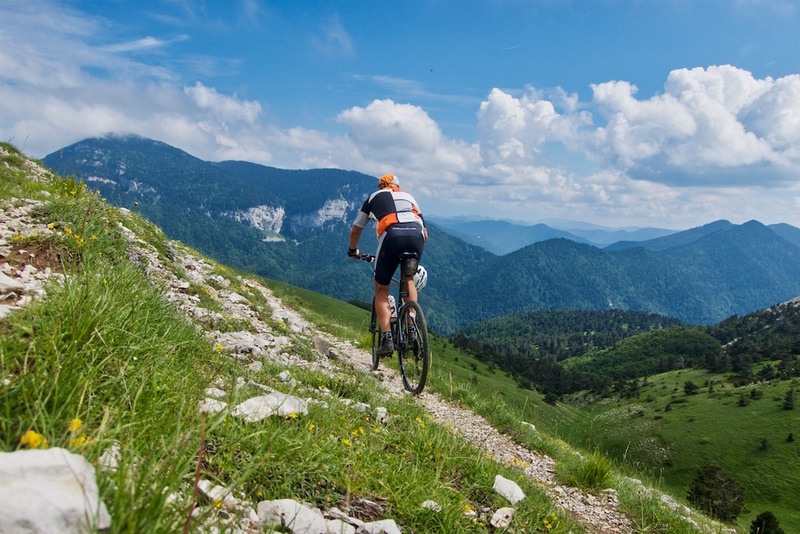 This is not the toughest or most spectacular ride, but it is quiet with nothing but scenic views. Fun.